The family farm is dying due to rising operating costs, corporate costs, difficulty of transition from generation to generation, and stagnate financial returns on yields. 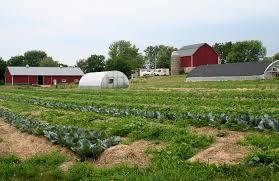 We must insure support for our family farms in order to sustain success on the local and national markets. Preservation of the American market for American farmer is a must and adapting the Missouri farmers bill of rights in the interest or protecting American farm families must be a top priority. Sixth district farmers have earned their place on the Global Market. The United States in particular have reaped the benefits of Family Farmers for generations. Increasingly expensive operating costs make it more and more difficult for our Missouri farmers to remain competitive both domestically and internationally. We must support opening trade opportunities for our Missouri farmers as well as finding common sense solutions to keep costs low.